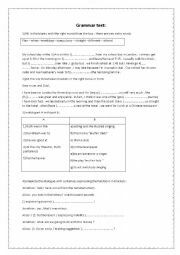 this worksheet is a simple grammatical review for the 7th grade . 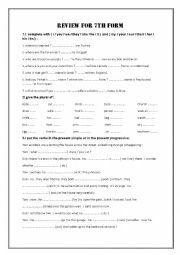 there are exercises about ( simple present vs. present progressive / w/h questions / demonstratives / possessive adjective .....) i hope you enjoy them and find them useful . 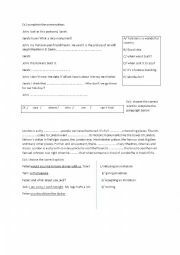 this worksheet is a self evaluation for 8th form . it covers lesson 5 : london wonders . to be frank this worksheet isn´t mine . but it´s worth publishing . i hope you like it . 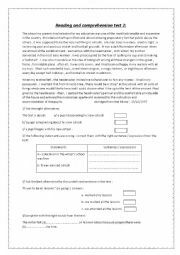 this test is for the tunisian 6th grade pupils . it could be used as a revision test for the final test . the text isn´t my work . i hope you like it . this reading and comprehension can be used as a test for the tunisina 8th grade . there are serious of grammatical exercises and writing . i hope you like it . this test is for the tunisian 8th grade . 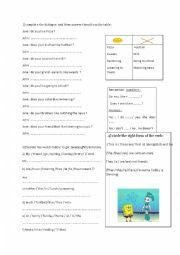 it´s a simple review .i put different exercises (prepositions / change the form or tense of words / functions ....) i hope you like it . 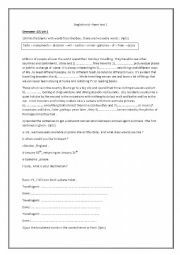 this worksheet is for 7th grade students . 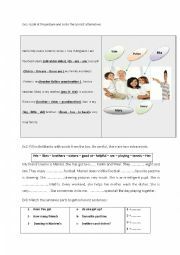 it deals with topics "the family " , "jobs " ..there are also grammatical exercices .the pictures used are from isl.collective .com .i hope you like it . 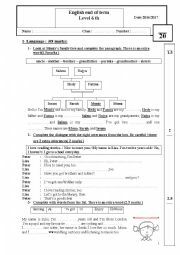 this worksheet is a grammar review for the tunisian 6th grade . the focus was mainly on how to use the question " do you like " with hobby . there are also exercices about reoder the words and letters . at the end , there is an exercice about simple present . i hope you like it .